PRP therapy is a natural procedure that uses a patient’s blood to stimulate hair growth. Kyle S. Choe, M.D., F.A.C.S. Dr. Kyle S. Choe, one of the top plastic surgeons in Virginia specializing in the head and neck, has introduced to his practice a new non-surgical treatment designed to promote hair restoration. This new treatment is called PRP Therapy, which stands for Platelet Rich Plasma therapy. Currently, Dr. Choe is using PRP on the scalps of patients to help stimulate hair growth, as well as slow down hair loss. PRP is a state-of-the-art and totally natural procedure. Using a thin needle, the physician injects a patient’s own Platelet Rich Plasma into the scalp. The injection then stimulates the growth factors in the blood cells that cause natural hair growth. Dr. Choe said PRP therapy has been in development for the past 20 years, as researchers have achieved positive results throughout their testing. In recent years, PRP has gained significant interest leading physicians like Dr. Choe to begin using it to treat hair loss. He also plans to offer PRP as a skin treatment very soon. The best candidates for PRP therapy, according to Dr. Choe, are those with thinning hair or those having hair transplant surgery to increase the survivability of the transplanted hair. He also said that a series of three treatments is recommended for those patients desiring a stand-alone treatment to address hair loss or thinning. Patients can have treatments every four months. Furthermore, there is little downtime associated with PRP therapy. The cost for a stand-alone treatment for hair loss and hair thinning is approximately $2,000 per treatment. The price is slightly lower when PRP therapy is performed in conjunction with hair transplant surgery. Dr. Choe’s use of PRP therapy demonstrates his commitment to using only the best technologies in assisting his patients. His practice was the first in the Hampton Roads area to offer automated follicular extraction, and the first to use advanced and simple Harvest Terumo PRP treatment for hair. Dr. Choe is double board certified by the American Board of Facial Plastic Reconstructive Surgery and the American Board of Otolaryngology. 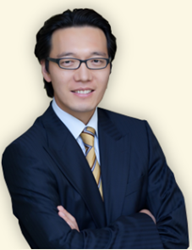 You can learn more about Dr. Choe and his practice by visiting http://www.choecenter.com.